Trump will direct US Trade Representative Robert Lighthizer to identify publish a proposed list of products that could be subject to tariffs. Washington, United States: President Donald Trump will impose tariffs on at least $50 billion in Chinese goods imports to retaliate against the alleged theft of American intellectual property, White House officials said Thursday. Saying it would be the "first of many" trade actions, Trump signed the order that also will look at restrictions on Chinese investment in the US. "We have a tremendous intellectual property theft situation going on," Trump said. The new import duties will target industrial sectors where "China has sought to acquire an advantage through the unfair acquisition or forced technology transfer from US companies," senior White House economic advisor Everett Eissenstat told reporters. The products subject to the new tariffs have not yet been identified. But the move sent stocks diving on Wall Street, where the Dow Jones Industrial Average was down about two percent ahead of the announcement, and ratcheted up Trump's confrontational stance with trading partners. White House officials said Thursday the actions capped years of efforts to encourage China to end the alleged unfair practices through negotiations. "Those dialogues failed under the Bush and Obama administrations," White House Trade Advisor Peter Navarro told reporters. Navarro said Trump had been at pains to encourage Beijing to cooperate with American entreaties to open Chinese markets and end unfair practices. "The problem is that with the Chinese in this case talk is not cheap, it's been very, very expensive and finally the president decided we needed to move forward." As Trump has taken progressive steps toward confrontation, Beijing has repeatedly warned that trade wars benefited no one and that China would not stand idly by as Washington imposed punitive new measures. 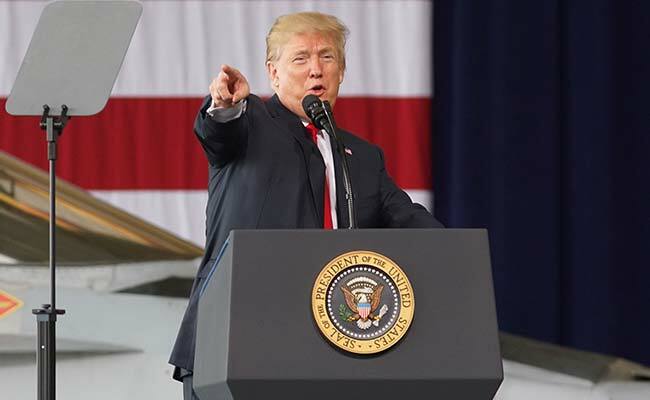 American industry, and US agriculture in particular, have voiced exceptional concerns that Trump's moves could spark retaliatory measures and hurt US exporters. The new moves on China come weeks after the White House suddenly announced punishing new import tariffs on steel and aluminum, which have outraged trading partners and Republican lawmakers alike. European officials this week have made high-level visits to press their case that they be excluded from the tariffs -- which are due to take effect on Friday.